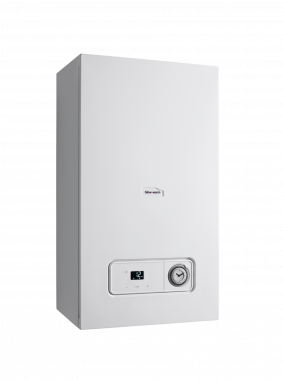 The Easicom3 28kW Combi gas boiler designed and manufactured by Glow-worm is a compact, wall-mountable unit that comes with a sleek modern design. Thanks to compact design, you’ll be saving some much-needed space around the home, and as a Combi boiler, it’s a water heater and a central heating boiler wrapped into one unit. This means that no for water tanks or a hot water cylinder as it takes it’s supply straight from the mains. With a seasonal efficiency rating of 89.6% as well as an ErP A rating for heating and hot water, this is a highly efficient boiler that will help you to save money on your energy bills. An output rating of 28kW makes this Easicom3 unit perfectly suitable for larger homes with a high demand for heating and hot water. Also included in the range is a 24kW output to suit heating and hot water demands of slightly smaller homes. Features of the Easicom3 boiler include a bright LCD Display, with an easy-to-use interface that gives you maximum control over the unit, boiler clock, standard horizontal flues, quiet in operation, a quality aluminium heat exchanger and the option to be installed with the complete range of Glow-worm advanced controls. All of these features make for a high-performance boiler that’s backed up by a lengthy 6 year parts and labour warranty.